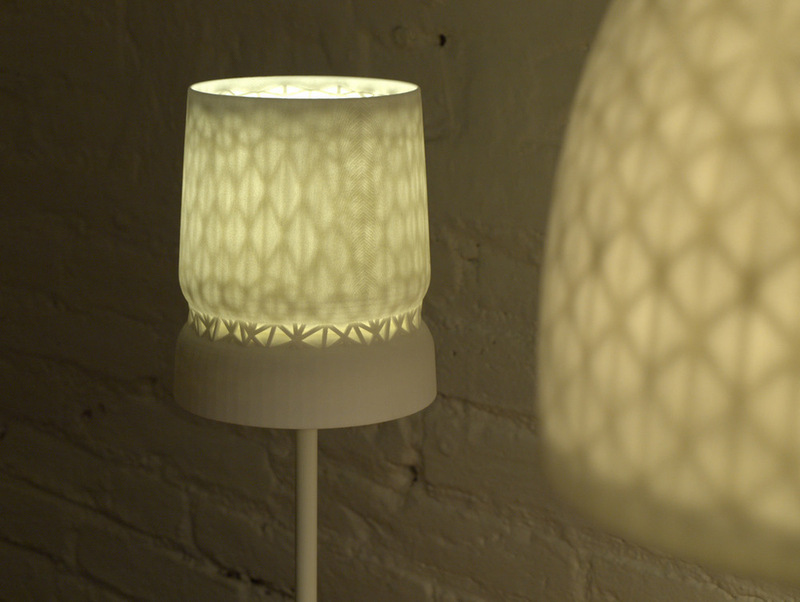 A collection of two lamps and a table tray made with 3D-Printing technologies featuring faceted surfaces and intricate stellate structures that appear when the pieces are seen through the light. Computer generated shapes are generally built with wireframe meshes composing beautiful triangular geometries that normally are lost when the product is produced with traditional production methods like injection molding. 3D-Printing technology, being a computer controlled process that builds objects by adding thin layers of material one on top of another, it allows for those geometries to be translated into physical objects. 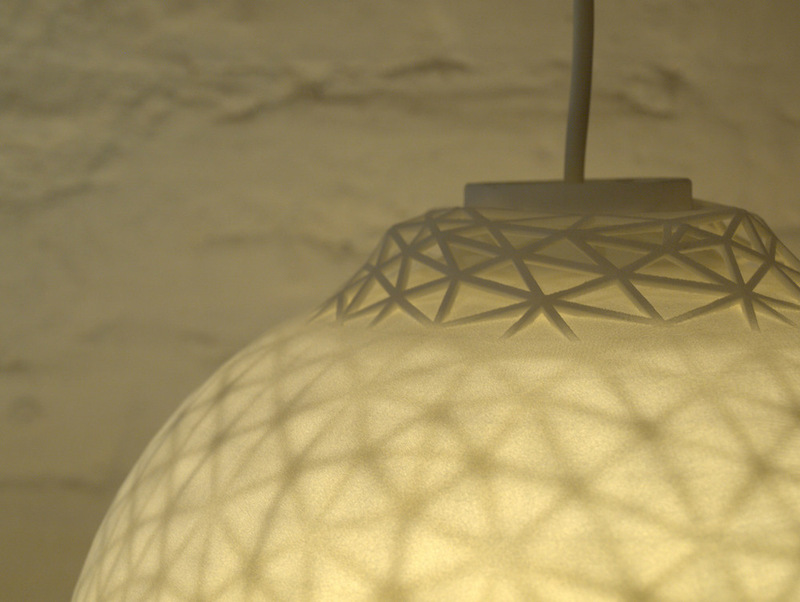 The Stellate pieces have a quiet design approach avoiding loud over-exposure of complexity. The internal triangular structures live inside the objects and shyly appear throughout the external surface as a reminder of the birthplace of every object; the computer 3D modeling environment. These simply shaped objects hide their complexity at a first sight, and only showing it to viewers who pay a second look. Simple truncated cone with an internal mesh of triangles. Concave bowl with a hidden mesh underneath it. 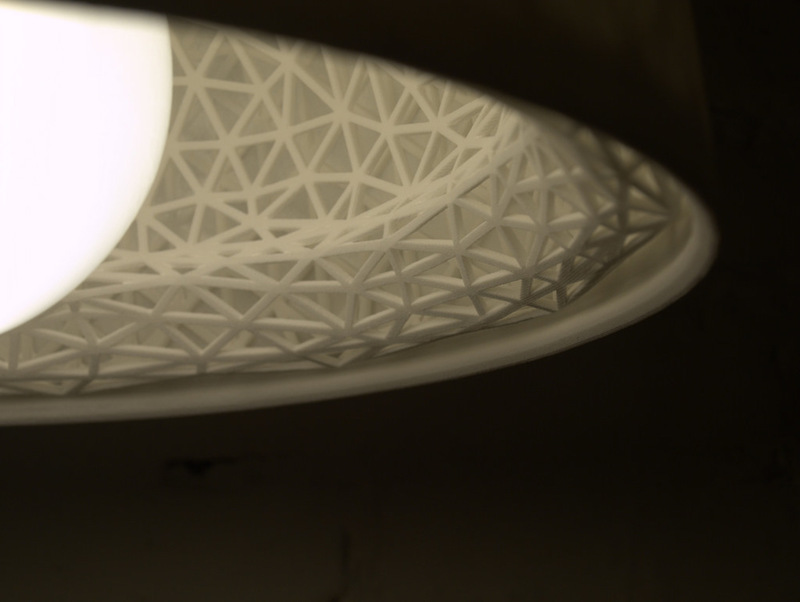 3D-Printing final products shortens spectacularly the product development process. 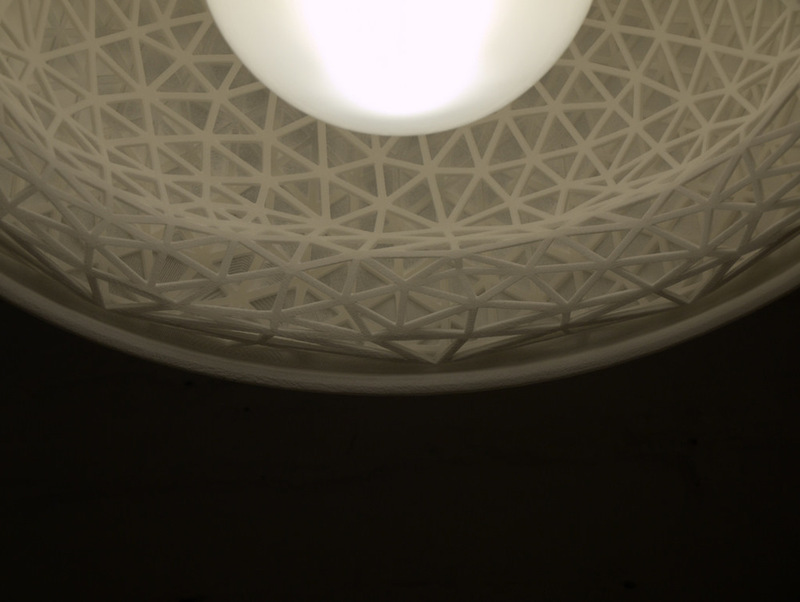 Comparing the 3D-Printing process to the process followed by a mass produced light, the time and costs are reduced drastically. The resulting pieces are fully functional products ready to be produced on demand, with the plus of offering space for customization and special requirements. C) 3DPrint | prepare the file, wait & clean up. 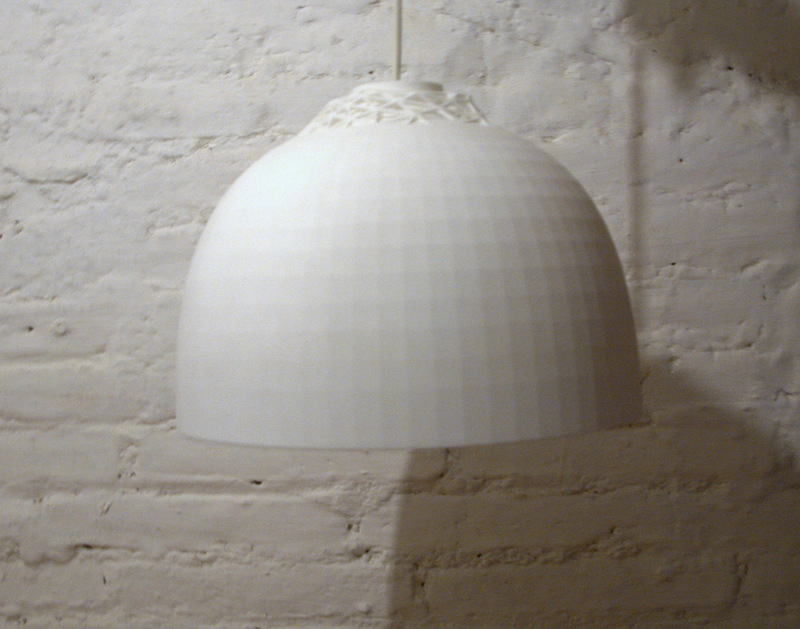 The Stellate Collection was presented to the public in Russia during the DesignAct fair in Moscow, 8-11 September 2011. The Stellate Collection, is produced on demand via 3D-Printing technologies, allowing for customization and client specifications. Each lamp can be unique. Please contact us for delivery times and costs. 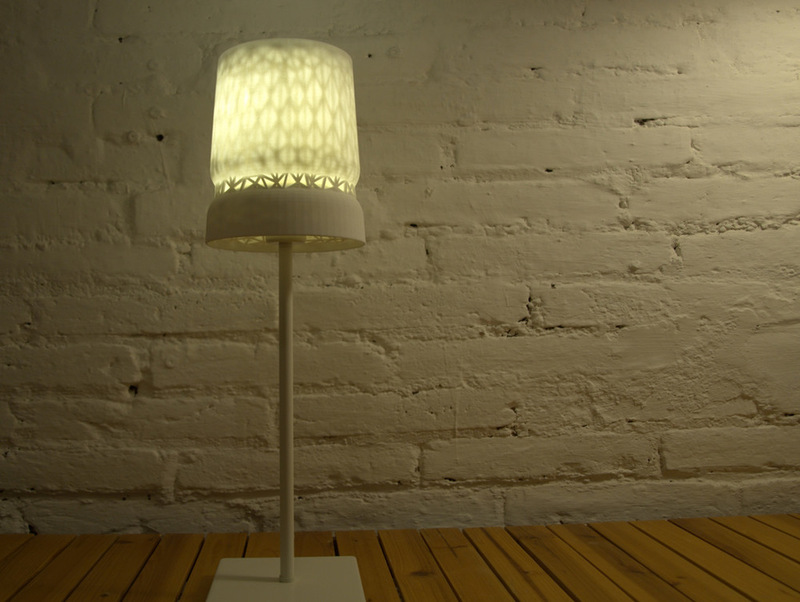 Produced by Fundació CIM using 3D-Printing SLS Selective Laser Sintering Technology. The Fundació CIM offers a wide range of technological services helping organizations to be more productive, improving their industrial processes and raise the quality of their products to compete successfully in global markets. The benefits of these services are intended to finance research projects, to renew the machinery and the provision of scholarships for technical careers. The main purpose of the Fundació CIM is the generation and transfer of knowledge & technology to the society. From the conception of a product to marketing, one must generally resort to different professionals and partners, representing a waste of time, information and project control. To minimize these drawbacks, the Fundació CIM supports the development of products from the design to the production phase.